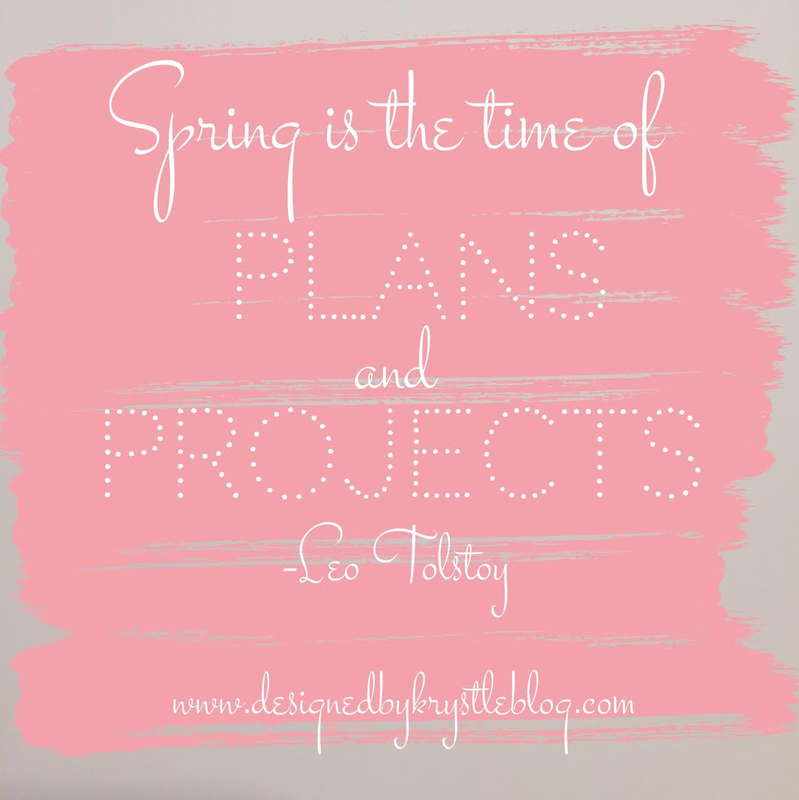 Spring is the season for planning and projects. I love this and find it to be spot on. Yesterday was the first day that really felt like spring is truly here! It’s time to start spring cleaning and planning our next projects around the house, and I couldn’t be more excited. It’s also the perfect time to start planning get-togethers with friends. This season is prime for entertaining: it’s not such perfect weather that you want to be outside all day, and it isn’t so cold out that you just want to curl into a ball and snuggle. So, what spring fetes are you planning? We had a decent weekend, but for now, I am ready to tackle my to-do list and get working on the exciting projects that are underway over here. How was your weekend? Are you ready to tackle this week and all your plans and projects for this week? ?